You don’t need a big budget to make a noticeable impact in your commercial district. Here are a few tools that are easy and inexpensive to buy/download/DIY that help to address common problems. The problem: There’s a vacant storefront or lot that has become an eyesore OR You want to solicit community input for a new development, or retail attraction program, but aren’t sure how. 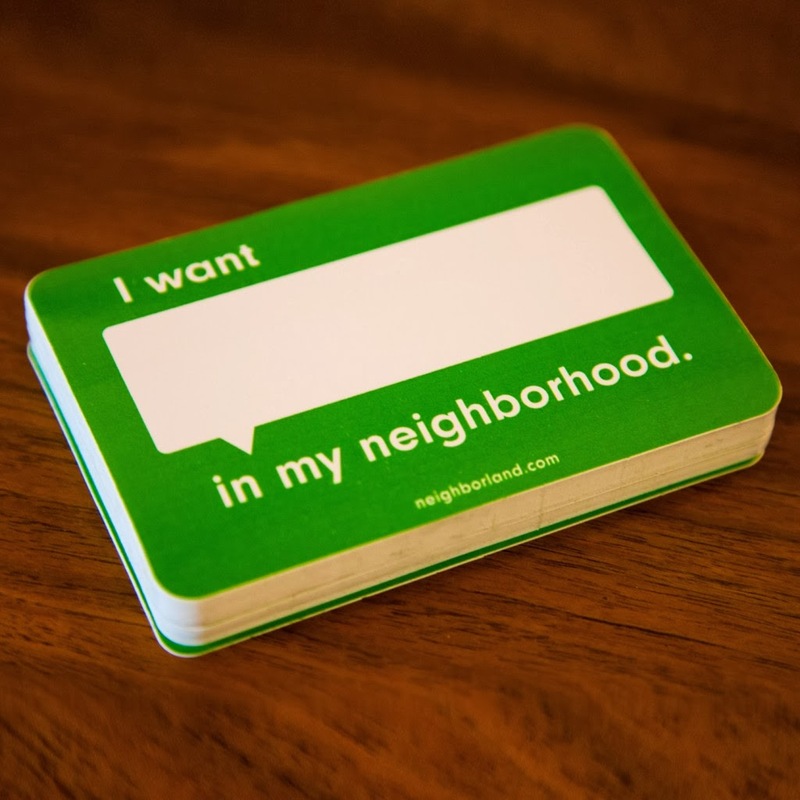 The solution: Neighborland‘s “I want _ in my neighborhood” stickers, or templates for mobile whiteboards to collect input in public space. Buy the stickers from their website ($0.35/each) and team up with the owner of a vacant site. It will draw attention to the space (a plus for the owner) and give you/potential retailers a sense of what people in the neighborhood want. The problem: You have so many great attractions and amenities in your district, but not everyone knows about them, or how to get from one to the next. 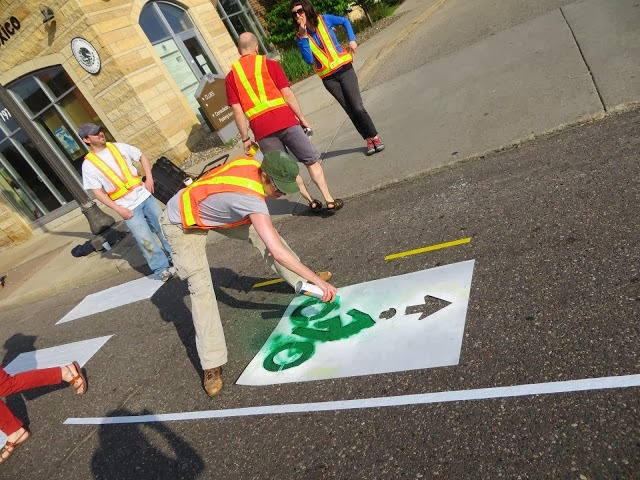 The solution: Walk Your City‘s Sign Builder lets you design your own wayfinding system to make your community more walkable, and help visitors get from place to place. Using their online system – you design it, they print it, you install it. The problem: You have empty tree pits, a vacant lot, or other spaces that could use a little greening. 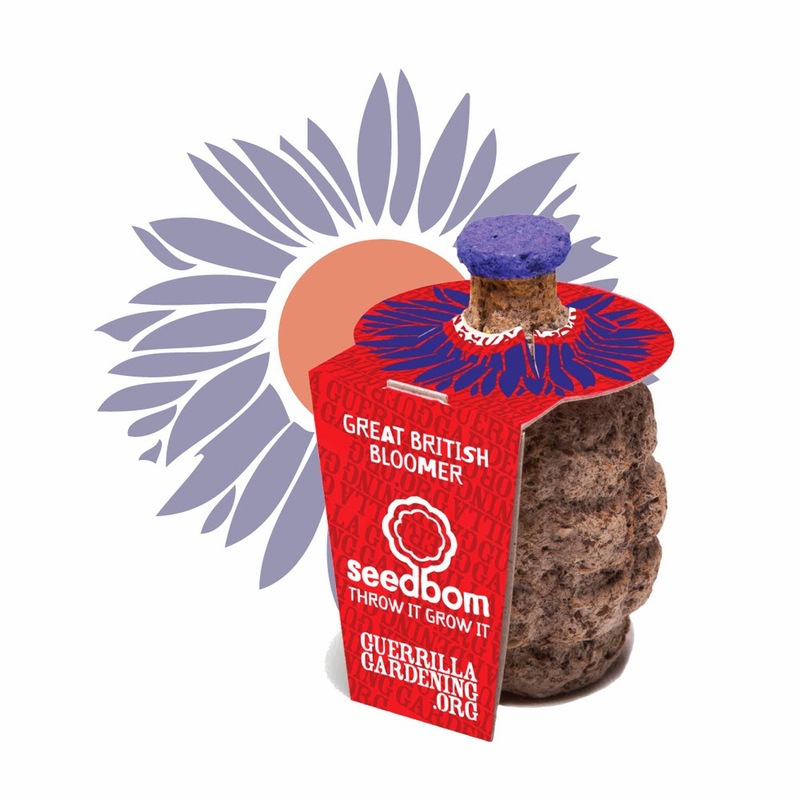 The solution:Guerrilla Gardening.org shows you where to buy and how to make your own seed bombs to green your district or beautify vacant sites. The problem: You’ve got some underutilized spaces that could be great – if only people had a reason to be in them. 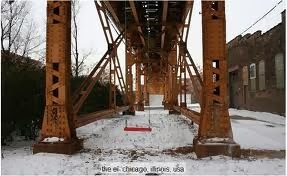 The solution: Red Swing Project hangs swings in public spaces to “inspire playfulness” around the world. Download the free how-to manual on the website to make your own swing. The problem: You want to do so many fun projects and you don’t know where to start. 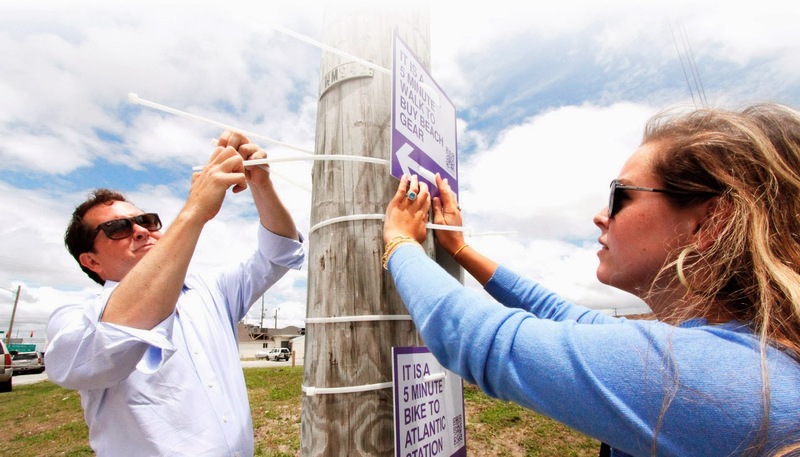 The solution: Betterblock.org has information on projects that communities are doing all over the country – from temporary bike lanes to pop-up stores, as well as a series of questions to help focus your efforts when planning how you are going to make a better block.